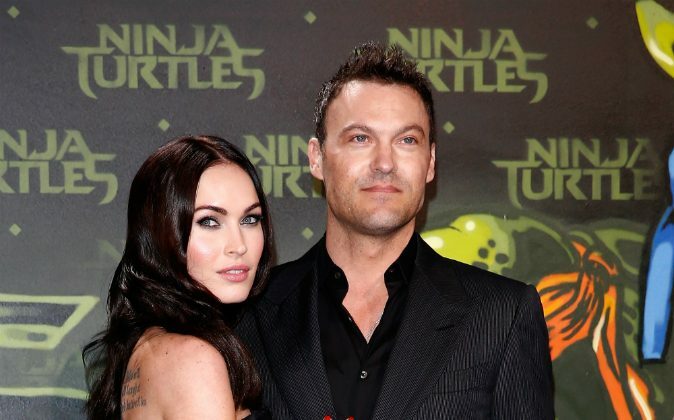 Congratulations are in order for Megan Fox and Brian Austin Green. The couple welcomed their third child, a boy named Journey River Green on Aug. 4, according to E! News. They are the parents to two other boys, 3-year-old son Noah and 2-year-old son Bodhi. During a May appearance on “Jimmy Kimmel Live!,” Fox said that she received a message from her unborn child that told her the family needed to relocate to a different area in Los Angeles—a move Green was accepting of. Fox also said at the time that she felt her baby will be a genius. “This baby is also telling me that it’s kind of like a Werner Von Braun or Elon Musk, like a super genius,” she said, comparing her baby to the German aerospace engineer and the South African business magnate behind Tesla motors. Fox and Greene married in 2010 and hit a rough patch when Fox filed for divorce on August 21, 2015. According to court documents, Fox cited irreconcilable differences as the reason for their split and requested joint custody of the two boys.